Due to the continuous competition of innovation and reach, advertisers should be keen and act on upon the industry trends. Advertisers who implement new technologies into their campaigns are crucial. This is because the look and “feel” of an ad is what generates high awareness and a better user experience. Therefore, dynamic creative optimization, or DCO, is a great tool for advertisers to tailor their inventories. DCO can shift the ad focus toward the right direction. We recently integrated DCO into our platform for data-driven native advertising, which offers a solution to advertisers’ creative needs. 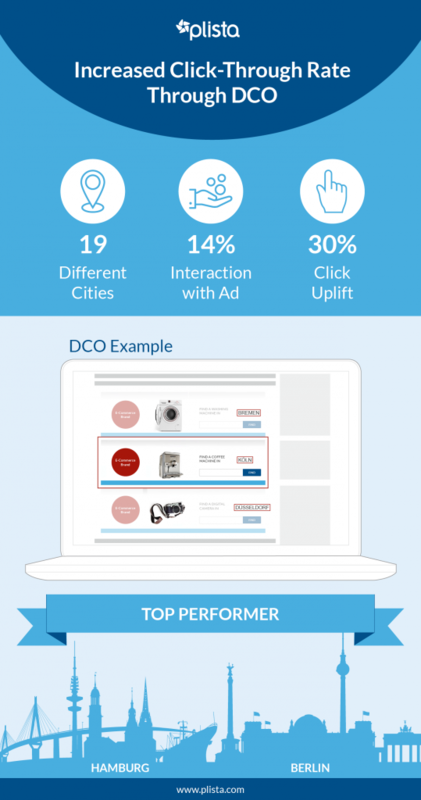 Our High-Impact and Outstream Ads are where advertisers can use our DCO service to automatically optimize ads with six parameters including the following: location, device, time, day of the week, holiday, and weather. Since announcing our launch of DCO, we recently reached promising results from our test campaign with one of our eCommerce clients, where our advanced ad recommendation yielded a satisfactory response. We have monitored our test campaign and created a case study, which illustrates our results. 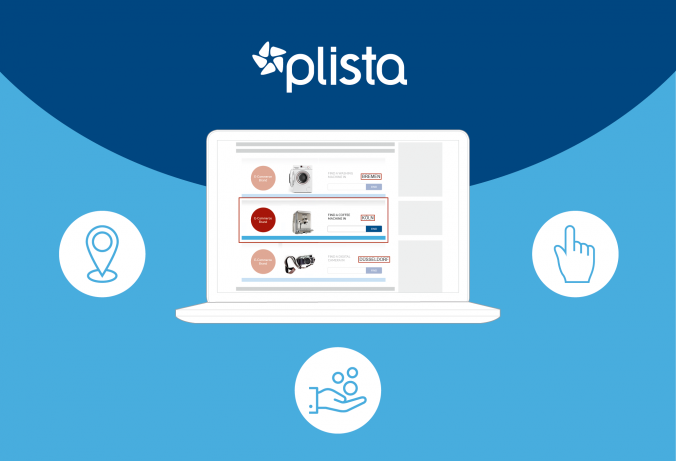 Have a look below to see what succeeded with our client’s use of plista’s DCO solution for their controlled and customizable, native advertising needs. The utilization of DCO pushed our client’s campaign up to a 14% rate of interaction, while receiving up to a 30% increase in clicks. This could be because of the customized adverts for the client’s products, which make for a more personal experience. Through DCO, our client was able to customize its campaign targets to 19 cities. Consequently, Hamburg and Berlin resulted as the top performers of well-received interaction. With DCO, our client’s ads enabled users to reach a unique URL based on their search word, such as “coffee machine,” and set city. DCO’s ability customize and tailor campaigns to the right target is a win-win for both consumers and advertisers.